A selection of international wine reviews that have appeared or will appear in Tidings Magazine and other wine publications. A blend of Sangiovese, Cabernet Sauvignon and Merlot from the southern region of Tuscany, this red shows blackberry, violets and spice on the nose. It’s lush and juicy on the palate with plum and currant fruits, some herbs and balancing spice notes. Smooth and delicious. Ripe tropical aromas with melon and apple notes. Really fine Pinot Grigio in the mouth with lush tropical pineapple and guava flavours and a zesty citrus finish. An old-style Syrah with aromas of black currants, cassis, smoke, roasted meats, licorice and pepper. It’s rich and layered on the palate with smoky blueberry and currants, cracked black pepper, firm tannins and lavish spices. Serve with comfort foods such as beef bourguignon, brisket, and hard cheeses. It’s a blend of Cabernet Sauvignon and Sangiovese with ripe aromas of cherries, herbs, anise, pepper and oak-driven spices. In the mouth, the flavours range from smoked cherry and blackberry fruit to an array of spices all on bed of smooth tannins. Enjoy with pasta in tomato-based sauces. From hillside vineyards in the southern region of Tuscany, this is a blend of Sauvignon Blanc and Chardonnay. The nosed is a perfumed mix of fresh tropical fruit, grapefruit, passion fruit and peach with just a hint of herbs. It’s crisp and racy on the palate and through the finish. Serve with shellfish, chicken and light salads. From one of the Piedmont’s largest wineries, this is a 100% Barbera red with a spicy, bold nose of plums, cassis and nutmeg. Quite expressive on the palate with dark fruits, hints of cherries, a touch of mint and soft tannins. A bargain wine. Made from traditional Veneto grapes with 30% of the fruit air-dried, Amarone-style. The nose shows rich, mature dark fruits, ground coffee, saddle leather and sweet spice notes. It’s a very young wine in the mouth that deserves time in the cellar to fully integrate all the interesting parts, from the intense fruit flavours to the toasty vanilla and sweet oak nuances. Try with grilled game meat especially bison burgers. Catena is a benchmark producer of Argentina’s greatest grape — Malbec. The 2008 vintages shows violets, cassis, nutmeg, dark fruits and spice on the nose. It’s savoury on the palate with a rich broth of dark fruits, tobacco, leather, pepper and soft tannins. Delicious stuff. This is from a varietal series by Catena’s winemaker Alejandro Viggiani. The Malbec is lovely with concentrated aromas of blackberry, vanilla, violets, plums and spice. It’s rich and savoury in the mouth with raspberry jam and dark fruits on a bed of soft tannins. Great sipping wine. An unusual white grape that is a rising star in Argentina. It has intense floral aromas with citrus, peach and apricot notes. It’s fleshy on the palate with a predominant apricot jam flavour with added citrus peach notes. Try with apple walnut salad or pasta primavera. 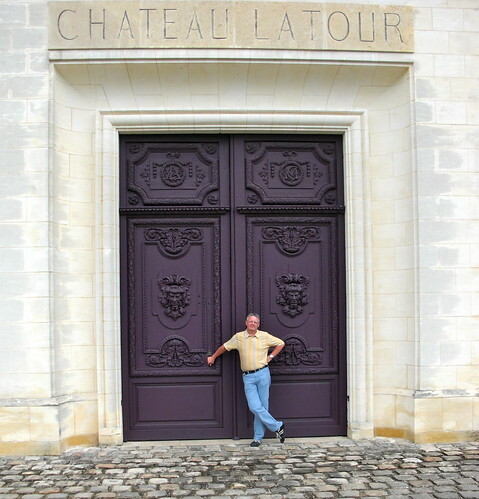 At the door of Chateau Latour. The much ballyhooed 2009 Bordeauxs (Chateau Latour seen in top photo) should be arriving in stores in just a couple of months. Some say it the best vintage in 30 years in Bordeaux, and if this First Growth is any indication, that just may end up being true. The wine is visually stunning with opaque, inky, purple hues. The aromas come rushing at you — sweet currants, blackberry, cocoa, oak, layers of stony minerality, and spice. It is enthralling on the palate with a powerful frame, highly-extracted black fruits, layered, textured and built on pure power. A monumental wine that can cellar for 50 plus years. Made to go with beef, lamb or duck. A gorgeous and complex nose of tropical, pear and citrus fruits with added vanilla toast and mineral. It shows lovely texture in the mouth with smoky fruits, hazelnuts and pure concentration that carries through the long finish. Try with trout, haddock, charcuterie or Camembert cheese. 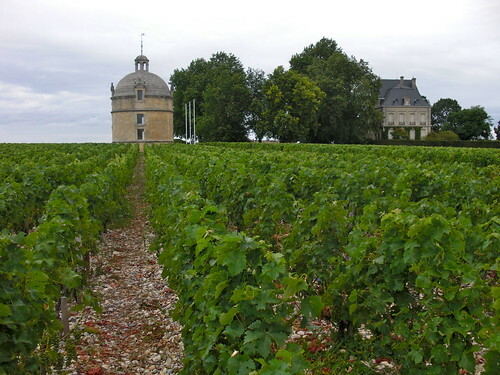 Laroche starts with no oak aging for his lower-tiered Chablis and finishes at 30% new oak for his Grand Cru Blanchot. It is such a refined beauty with a nose of flinty minerals and an undercurrent of lemon and apple fruit. It’s delicate, with well-integrated fruit, subtle spice in an even, balanced approach through the finish. It’s all about the finesse here. Perfect with oysters, snails or prawns. Shows citrus lemon and lime on the nose with stony minerality and soft spice from minimal oak aging. Lovely mouthfeel with fresh citrusy fruit and balance through the finish. A crisp and minerally style of Chardonnay made from a selection of vineyards. No discernable oak stylings, just pure citrus/apple fruit in crisp, clean style. 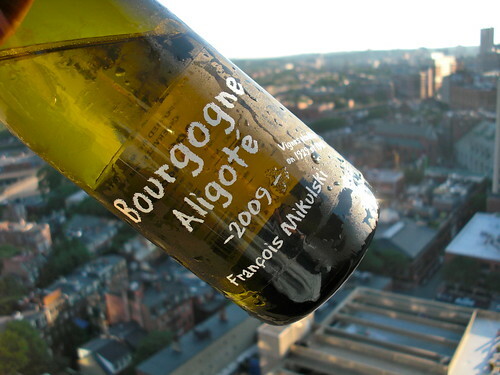 One of the lowest-priced white Burgundies you can buy, and, we have to say, it’s better than many at twice the price. A clean, fresh nose of apple, citrus and floral notes. It’s unoaked and crisp on the palate with green apple flavours and touches of citrus and minerals. Nice with fresh fish dishes. No other wine region on earth makes better Gewurztraminer than Alsace. This sweet VT is a perfect example of the exotic aromas and flavours that can be coaxed from this perfumed variety. The nose shows highly extracted grapefruit, wild honey, lychee, nutmeg and musk. It’s unctuous and fleshy on the palate with concentrated sweet fruits and spices. Just add the foie gras. An exciting Chenin Blanc from the Jasnieres region in the centre of the Loire Valley. The nose shows honey, grapefruit, lemon and white flowers. It’s simply gorgeous in the mouth with stony minerality, quince, citrus and a subtle spice note. It’s off-dry but washed in racy acidity. Perfect with spicy Asian foods. A somewhat rustic and backward red made from the Mansois grape. The nose reveals a basket of red fruits, blackcurrant, pepper, licorice and leafy-bramble notes. It’s unoaked with no discernible tannins on the palate and shows pure fruit flavours of raspberry, currants with just a touch of mint. Try with grilled lamb. This is a thick, unctuous Pinot Gris with a nose of pure stone fruits, flowers, minerals and creamy vanilla. It gushes on the palate with peach, apricot, lemon curd, honey and lovely baking spices. A powerful Alsatian beauty. Would pair well with wild mushroom risotto. Made from vines planted in 1929 to 1948, this wine is a pure expression of Aligote with a nose of sharp citrus and mineral notes. It’s bone-dry on the palate with fresh green apple, lemon and stony minerality. Pass the oysters. A fascinating red wine made with 100% Mondeuse, a rustic version of Syrah, and follows the natural winemaking principals of “nothing added, nothing taken away.” In other words, wild fermentation, no sulphur added, organically farmed vineyards. It shows a crazy-wild nose of fruitcake, spice, cinnamon, cloves, violets, sun-baked raspberry and black currants. In the mouth it’s bone dry, tight and highly acidic with flavours of crushed flowers, loam, mineral, aggressive tannins, peppery spice, raspberry, cranberry and boysenberry. Not for everyone, but a thrill if you’re looking for something different. A good little introduction to the Pinot Noirs of Burgundy. The nose shows plums, cherries and wild berry notes with just a hint of spice. In the mouth, tart red fruits, spice in a balanced approach that leads to a smooth finish. Enjoy with meat pies and roasts. 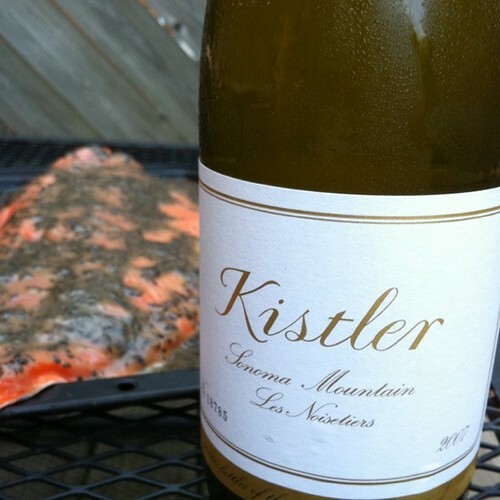 Certainly one of most talked about Chardonnay producers in California. The Les Noisetiers is the epitome of the buttery style of Chardonnay either loved or hated. It shows a cacophony of fruit on the nose from apple, pear and melon to secondary notes of bread dough, minerals, almonds all slathered in buttery goodness. It’s simply gorgeous in the mouth with ripe fruits that work so well with fine oak, spice, nuts and flavours that are layered and sublime. A wine made for lobster smothered in butter. SKN stands for “Screw Kappa Napa,” a reference to the screwcap on this value priced Napa Cab that’s made by Don Sebastiani and Sons from sourced grapes. The nose is all about blackberries, plums, roasted coffee bean, spice and cocoa. The palate reveals currants and raspberries, and black cherries with ample peppery spice and soft tannins. Match with T-bone or rib-eye steak. As the name suggests, the grapes for this red blend from California are farmed organically and biodynamically. 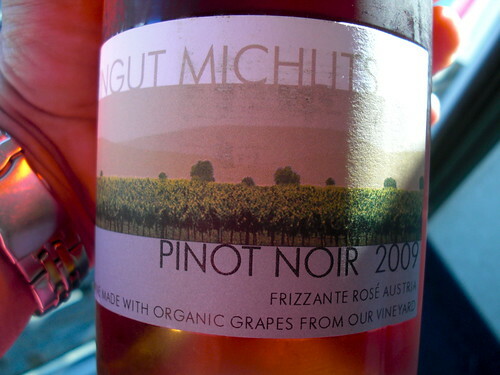 The nose shows juicy plum, cherry, raspberry and currant fruits in a forward style. It’s smooth and rich in fruits on the palate to go with soft tannins. From a quality producer on California’s Sonoma Coast. 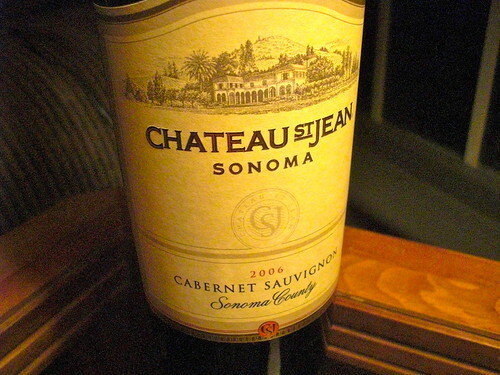 This Cab is gorgeous and loaded with blackberry, mocha, currants, plums and a touch of mint. It’s beefy and bold on the palate with smoke, spice, leather and roasted coffee bean to go with all that fruit. Fume Blanc is a fancy name for Sauvignon Blanc that’s seen a bit of oak aging. The nose is quite aromatic with flowers, spice, apple, citrus and light toast and spice. It has grip on the palate with vanilla, pear and citrus notes in a round and juicy style. Honeydew, lemon tart, peach and underlying chalky minerality on the nose of this affordable Spatlese. It has vibrancy on the palate to go with the sweet flavours of lime, peach and honey. Very intense with a whiff of petrol. Will age beautifully. Big aromas of jammy cherry, blackberry, vanilla and pepper. It’s quite smooth on the palate with fleshy fruit and layers of spice. An easy drinking style at an affordable price. Pairs up well with grilled red meats. Love the aromatic nose of fresh mown grass, melon, lemon and kiwi fruit. In the mouth, the fruits are fresh, vibrant with just a touch of sweetness. Try with grilled fresh white fish. One of the most consistent brands in the Penfolds family. The nose chows stone fruits, melon, pear, integrated oak, cream and spice. It’s soft and creamy on the palate with round fruits and complementing spice. Classic Aussie Chard. Try with most chicken dishes and pork belly sliders. Love this blend of Cab and Shiraz. An inviting nose of plums, pepper, dark fruits, baking spices, pepper, blackberry jam and vanilla toast. It’s fleshy on the palate with a core of blackberry-cherry fruit and nice cocoa-licorice highlights. Perfect with grilled steak. A blend of three chardonnay clones all from biodynamically farmed vineyards in the Gisborne region. Good depth of fruit on the nose with citrus, tropical fruits and a subtle nuttiness note to go with spice and minerality. Love the tension on the palate with fruit and minerals is a seesaw battle with the freshening acidity. A grassy-herbaceous nose with grapefruit and gooseberry fruits. In the mouth, it’s lip-smacking good with tart citrus, kiwi and grass notes. Altogether a tangy, fresh and vibrant white that goes nicely with seafood salad, asparagus or fresh pea soup. A lovely nose of savoury cherry, earth, mulled red fruits and spice. It’s soft and creamy on the palate with integrated red fruits and a soft, silky finish. Pairs well with duck confit. Sokal Blosser makes this irreverent, multi-regional, nine-grape white blend as a non-vintage wine. The “14” refers to the number off vintages made. It’s a fun wine with a nose of tropical fruit, peach, honey, lemon and floral notes. It’s finished slightly off-dry but still shows good acidity with tropical-citrus fruits. Serve with fresh salads and Thai food. This is the same concept as the Evolution, but made with the red grapes Pinot Noir, Zinfandel and Syrah. It’s like Pinot Noir on steroids with juicy cherry and raspberry fruit, spice and earth on the nose. It’s bold and peppery on the palate with a bevy of dark and red fruits and a smooth finish. Serve with veal or burgers. Groovy Gruner is a rising star in the wine world because it’s such a flavourful and food friendly white wine. It shows aromas of pear, citrus and lovely spice notes. But the real show is in the mouth. Anjou pear, melon, peach and citrus fruits with flinty minerality and crisp acidity through the finish. Serve with sushi. A delightful sparkling wine made from organic-biodynamic vineyards in a slightly off-dry style. The nose shows perfectly balanced cherry-raspberry fruits with just a hint of citrus. It has moderate effervescence on the palate with clean and crisp red fruits. A perfect aperitif. Hard to imagine Chardonnay being produced in the heat of Israel, but this leading producer has crafted a warm climate Chardonnay that shows nice tropical fruits, pear and creamy vanilla notes on the nose. A hint of citrus flavours emerge on the palate to go with creamy apple, tropical fruits and spice. Surprisingly balanced. Serve with poached salmon or lobster dishes.